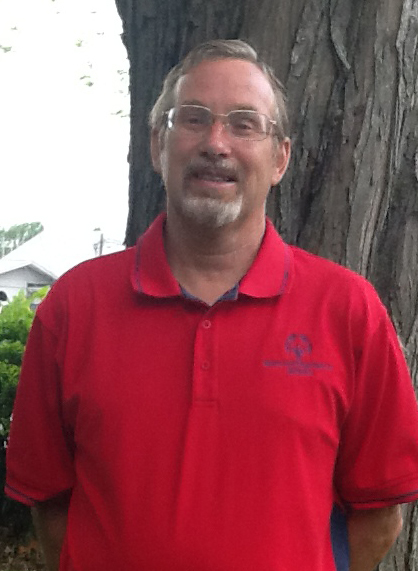 Rick Scholl of Decatur has been named recipient of 2014 Special Olympics Illinois Lifetime Service Award. 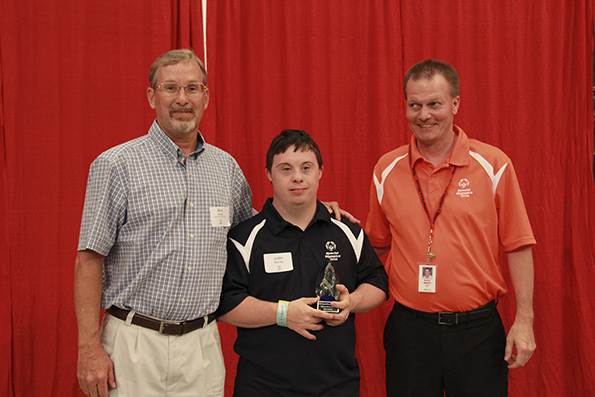 He was honored at a reception June 13 before the Special Olympics Illinois Summer Games Opening Ceremonies at Illinois State University in Normal. The Special Olympics Illinois Lifetime Service award is given to an outstanding individual who encompasses the spirit of Special Olympics Illinois and has shown their dedication to the organization and to serving its mission and goals. Awards are given based on nominee’s interest in and support of the abilities and accomplishments of SO ILL athletes as demonstrated through significant contributions. The individual also needs to have at least 20 years of servicewith Special Olympics Illinois. Scholl graduated from Illinois State University, Normal in 1979 with a degree in Physical Education and Health. He then received his master’s degree in Adaptive Physical Education. Rick began his teaching career as a teaching assistant and head track coach at Wheeling High School. He then accepted a position at Lincoln Developmental Center as an Adaptive Physical Education Instructor. In 1987, he started teaching in Decatur where he has made it his main priority to get students with intellectual disabilities involved in Special Olympics. Every year, Rick and his wife Liesa bring 60 Special Olympics athletes to the Southern/Area 10 Spring Games, many for the first time. He has also served as a Special Olympics World Games coach. Rick has participated in the Polar Plunge to help raise awareness and money for several years. Scholl and his wife, Liesa, are the parents of two sons.